This week in the Writing Principles for Bloggers series, we will look at the concept of customer service, how it applies to your blog, and how taking steps to give your customer (aka- reader) what they want or need is a key to potential growth and success. 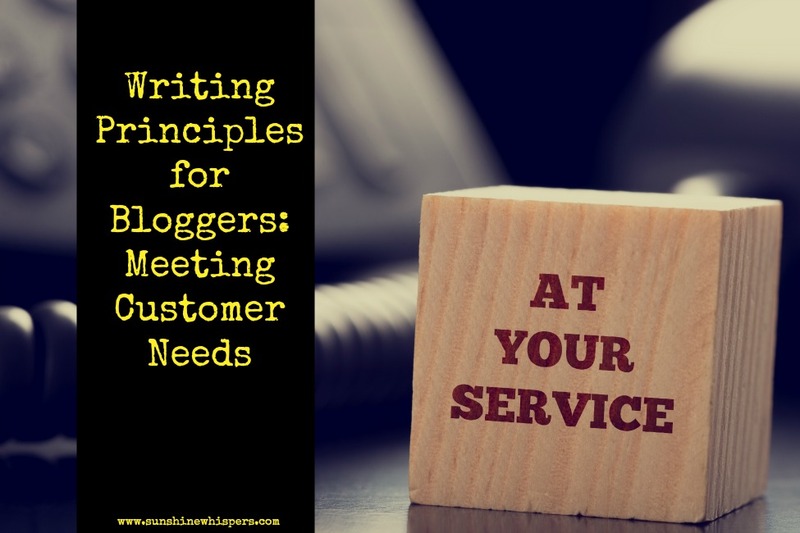 Read on to learn more about Writing Principles for Bloggers: Meeting Customer Needs. As a blogger, have you ever considered that you have ‘customers,’ and that in order to grow your blog you need to provide excellent customer service and meet your customer’s needs? Does that sound strange? Well, think about it for a moment. Regardless of whether or not you have monetized your blog, you are essentially selling a product– you! Your brand, your blog, and everything your blog has to offer is a product. Granted, your customers can’t purchase it from Target. However, in order for you to be successful, your message needs to provide value added to your customer’s lives. Otherwise, they will not come back for more. It does sound a little strange to refer to your readers as customers, or your blog as a product. In the information age though, that is exactly what they are. Last week, we talked about ‘Bottom Line Up Front’ (BLUF), and how getting to the point in your blog post helps your readers (customers) decide whether or not they will continue to read. Writing your BLUF is definitely an example of great customer service. So, if your blog has customers (readers), what are some general customer service tips you could use to improve the growth and overall success of your blog? Listen to customers: Many bloggers solicit input from their readers about topics they are interested in reading about and questions they need answered. If you are a new blogger and don’t have many readers yet, a good place to start might be to ask yourself what you enjoy reading, and then brainstorm ideas from that list of interests. Be a real person: Seriously, the best way you can promote your brand is to be yourself. Don’t try to be just like another blogger. They will always be better at being themselves. Don’t take it from me though. 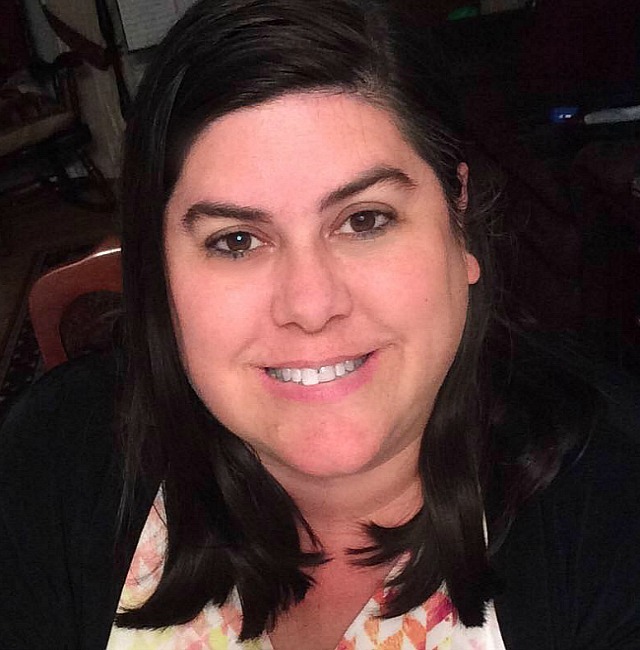 The great bloggers behind the Learn to Blog Hangouts have fantastic hangout with Holly Homer on this very topic. Check it out! Be honest about what you don’t know: Do you know everything? Of course not! Guess what? Your readers don’t actually expect you to know everything either. Customers hate to waste time. Make every word count: Write precisely. Use BLUF. Make sure both your post topics, and the way you present information, provide value added to your readers’ lives. Be a team player: So, I know most of you are a one-woman show. Think about it though– bloggers generally succeed because of other bloggers. Your competition also happens to be your fan base. Be considerate, build relationships, and give back! Think about what your customers need and make it available before they ask for it: This is a great tip for planning that editorial calendar. Fore instance, when should you schedule seasonal content? The week before the big event or a few months before the big event? Put customers first: This doesn’t mean you shouldn’t write a personal blog infused with your personal life. It just means that you might want to avoid too many needless details, too much controversy, too much drama. Your customers have enough drama in their own lives. If your drama serves a purpose (humor, building community, extending encouragement or empathy, informing readers on a complex issue), then great! Otherwise, you might want to use that red pen and edit, edit, edit! Individuals have needs. Products and services need to improve their lives: This goes hand in glove with putting customers first. If your blog is going to resonate with your readers, it will need to improve their lives somehow. Write on topics that people want to read. Write in such a way that your readers will discover they needed the information you are passing on, even if they didn’t realize it before that moment! Respond quickly and be courteous: Close that feedback loop. If someone comments on your blog post, facebook share, instagram photo, etc… write them back! 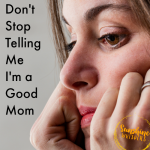 Don’t leave them wondering if you are human or some hologram-induced Mommy machine. Standards matter: Spell-check. Grammar rules. Get an editor (thanks again Mom!). Write tightly. Don’t break the rules of blogging etiquette. Be consistent: Develop a posting schedule that works for you and stick to it! Readers love consistency and structure. Don’t get in a rut: This is the other side of the consistency coin. Are your posts getting boring? 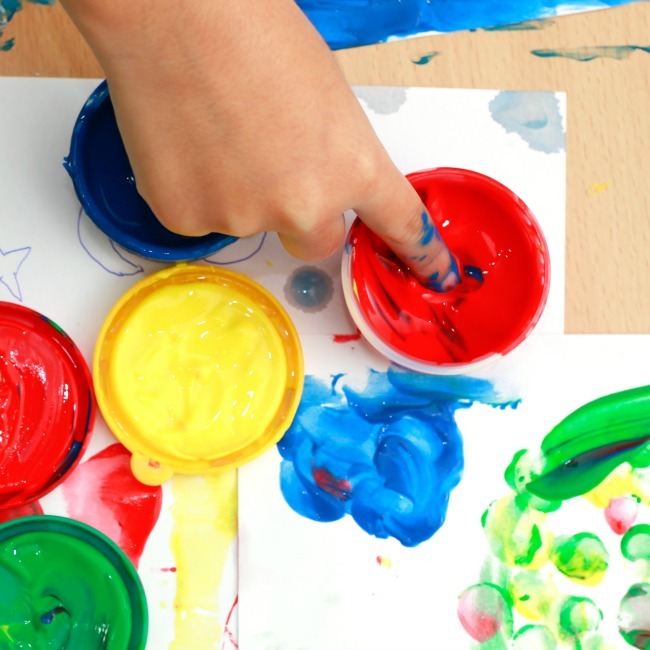 Have you done 30 different versions of the same craft, recipe, or activity? Maybe it is time to do some field research– take a trip, learn something new, read a book! Smile: Ok, clearly you don’t need to dot your blog post with smiley faces. However, your writing naturally conveys a mood. Is every post going to be sunshine and rainbows? Of course not because life it not like that. Just remember to strike a balance. Nobody wants to get a daily dose of depressed. Be an expert: Find your niche and write the heart out of it. My niche is Christian Working Mom (which is admittedly broad). However, every post I write is part of my plan to increase my authority in that niche. Help customers help themselves: This isn’t really about writing as much as your blog’s layout and design. Can customers find what they are looking for? Are your categories obvious? Again, if you want an honest assessment of your blog’s appearance and utility, check out the Learn to Blog online course. As part of the class, Kelli and Crystal provide a 30 minutes critique of your blog. I have to tell you that the advice they gave me was truly invaluable. So, have I convinced you yet? What tips would you add? 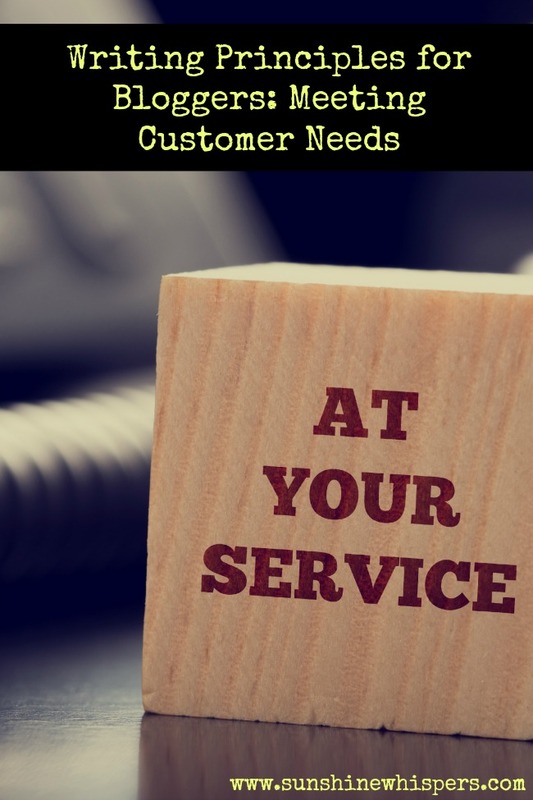 How do you provide excellent customer service to your readers and in the process, meet their needs? Thanks so much for reading! Join me next Tuesday when we will talk about how to write an effective lead. In the meantime, have a great week! 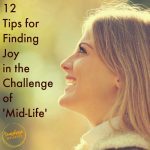 Great tips and series, Sara! I completely agree in helping our readers get some type of value from each post. Sometimes I tell my story just to give them some encouragement about their own situations in life. Value can come in many forms but is absolutely necessary in connecting and building a community with our blogs. Thanks so much Candace! Yep, value can come in many forms… but if your blog isn’t providing some, readers will probably not come back.